Carnations (dianthus caryophyllus) are one of the most popular florists' flowers. As long lasting flowers, carnations are very popular as boutonnieres, in corsages, bouquets, and in a wide range of floral arrangements. Carnations are popularly favored on special occasions, especially mother's day and weddings. Carnations are thus "the flowers of god". 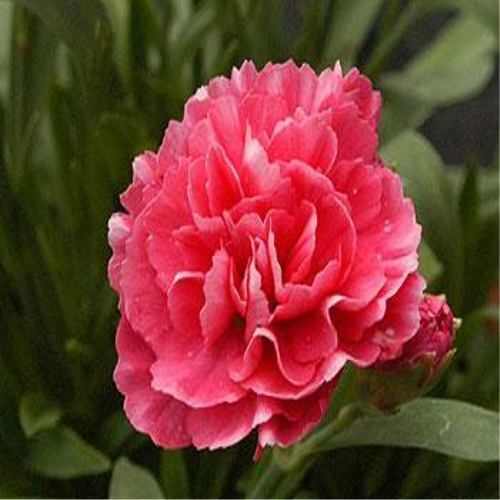 Carnation is indigenous to the mediterranean areas. Due to high cost of production inside greenhouses in europe and usa, its cultivation is shifting to more naturally-growing regions where they are being produced at lesser cost. In india, carnation culture is in a budding stage. Very few commercial varieties are seen in the market. Moderate climatic control measures that are economical can deliver quality carnations at the internationally competitive prices year round. With a vast industry experience of 11 years, we have been regarded as a trusted wholesaler and exporter of Nursery Products. The range of products offered by us includes Nursery Plant and Tool, Shade and Nursery Net, Lawn Supplier, Plant Fertilizers, Nursery Plants and Nursery Bags. All the products offered by us are sourced from reliable vendors of the market, who make use of quality-approved material in the manufacturing process. Owing to the longer functional life, reliability, low maintenance and high load bearing capacity of these products, these are widely appreciated among the clients. We are supported by a team of diligent professionals, who are well versed and knowledgeable in their respective fields. They work in tandem with each other to understand the requirements of the clients and fulfill them accordingly. Moreover, for quality, we have maintained a quality testing laboratory, in which all the sourced products are tested on various parameters to ensure their effectiveness. Further, keeping the budgets of our clients in mind, we accept payments through various easy modes in order to facilitate easy monetary transactions. Owing to all the above features, we have been able to garner a huge clientele across the nation. We are looking queries mainly from DELHI.